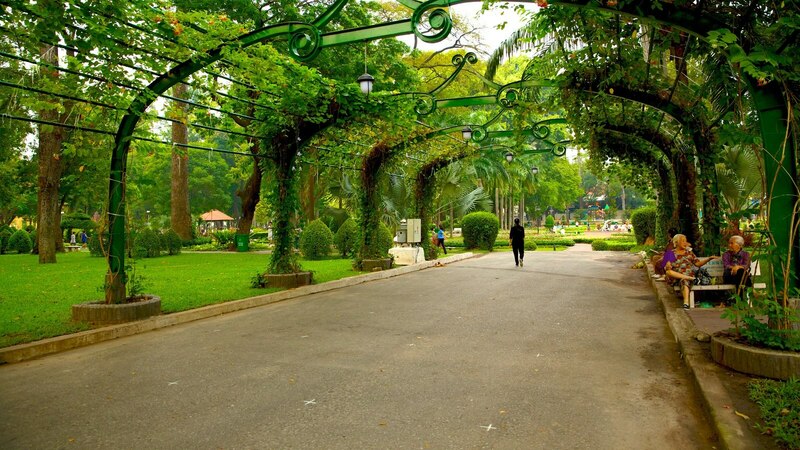 One of the city's most attractive green spaces is 10-hectare Tao Dan Park, its bench-lined walks shaded with avenues of towering tropical trees, including flame trees and vast Sao Den and So Khi trees. It’s fascinating to visit in the early morning and late afternoon when thousands of locals exercise. 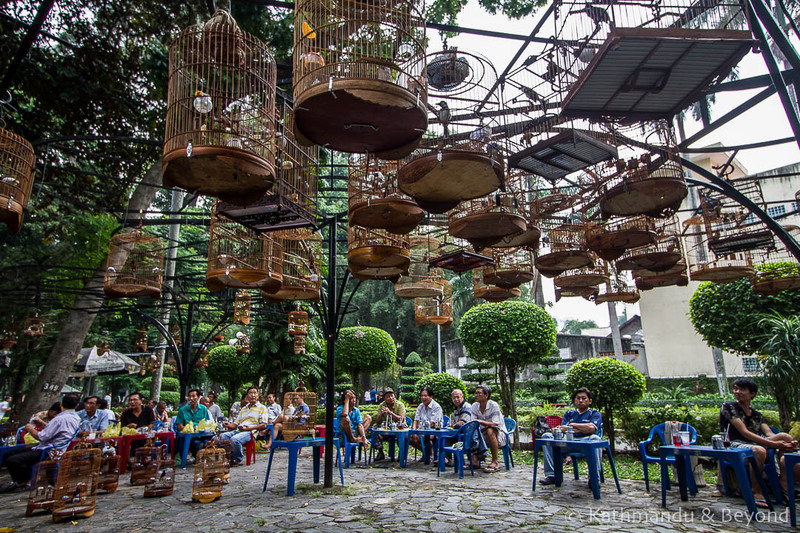 Also noteworthy is the daily flocking here of the city’s bird lovers (mainly elderly gentlemen), who arrive, cages in hand, at what is universally known as the bird cafe. 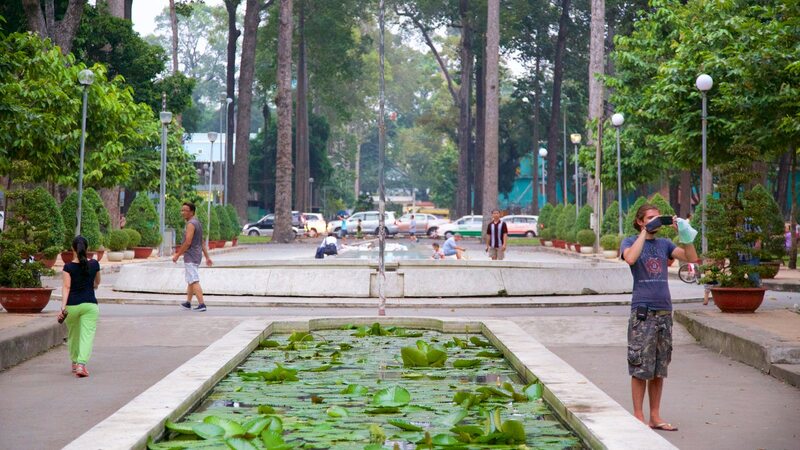 The park is split down the middle by Ð Truong Dinh. 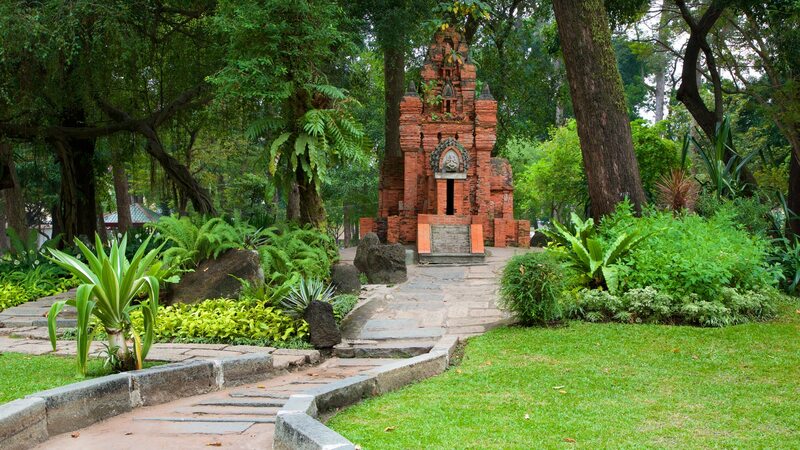 To the northeast of Ð Truong Dinh is a small contemporary sculpture garden and the old Cercle Sportif, an elite sporting club during the French colonial period and now the Labour Culture Palace with tennis courts, a colonnaded art deco swimming pool and a clubhouse. Look for the replica of Nha Trang's Cham tower and Hung King Temple, both perfect for photos. On the east side the park is populated with interesting statues. 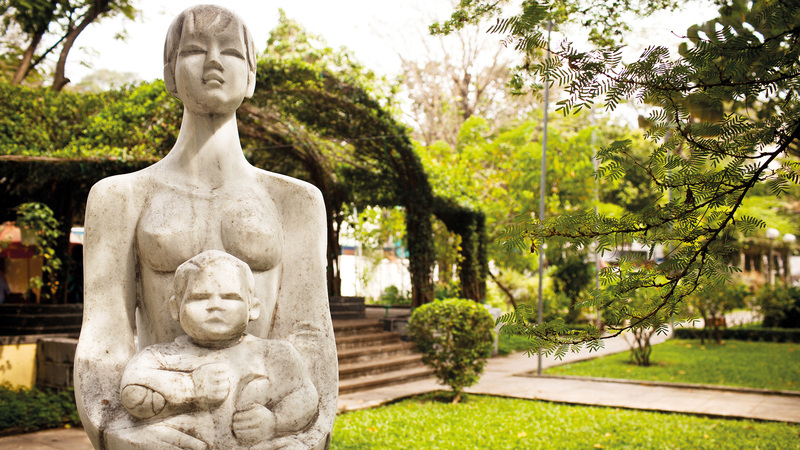 Located in Saigon's District 1, Tao Dan has long entertained residents and vistors to Ho Chi Minh City. 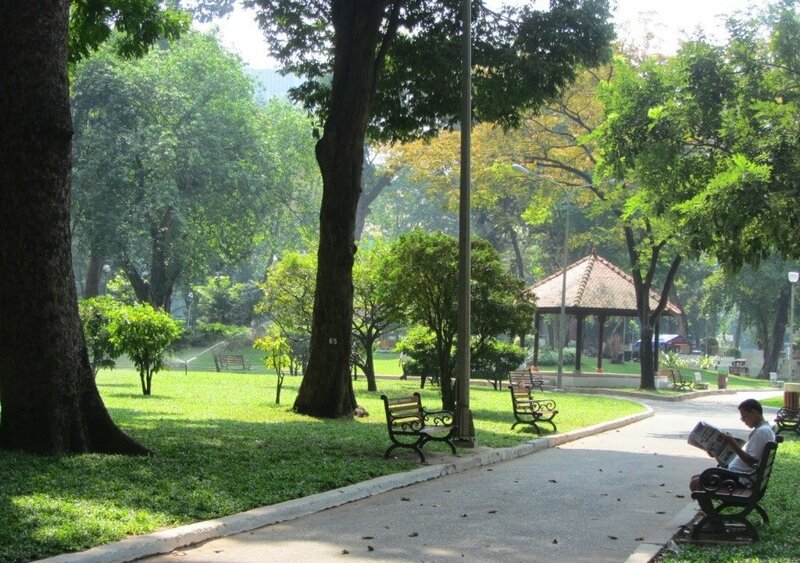 Feel the serenity of the lush green space as you go for an early morning or evening stroll. Bask under the shady trees in the afternoon. 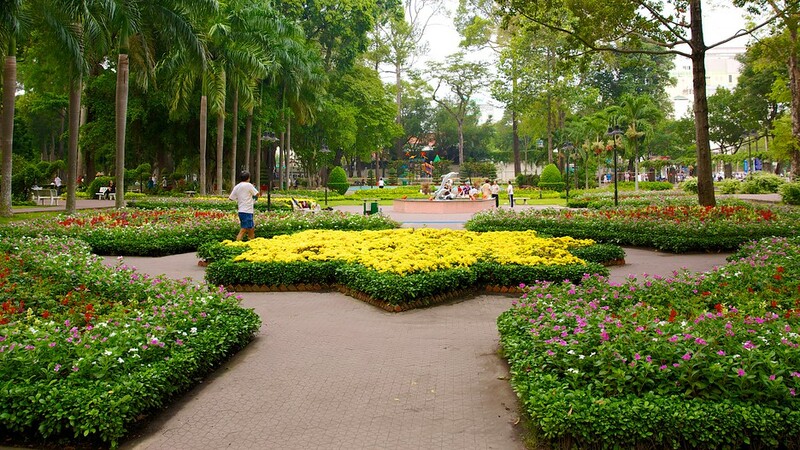 Given that Saigon's busy Truong Dinh intersects Tao Dan Park, you wouldn't know it by the fresh air and sense of calm the park radiates.